Is it summer yet? Well, with the China Glaze Summer 2015 Electric Nights neon collection, you might think so! 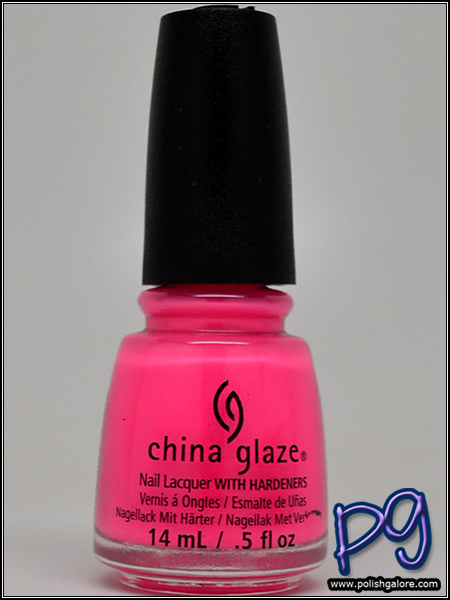 China Glaze is known for neons, so this year it was interesting to see how they would reinvent themselves again! This time, all their neons glow under black light! Now, I don't have a black light to share with you but trust me on this. Today I have Glow With The Flow, an ultra bright baby pink. Now, neons and cameras never get along, so please bare with me. I used a base coat of Duri Rejuvacote, 2 coats of polish and finished with Digital Nails Ain't Nobody Got Time For That. On my ring and pointer finger, I did one thin coat of KBShimmer Eyes White Open to see if the color would pop better. The formula on this polish was a bit on the thin side, runny if you didn't wipe your brush properly and I was a mess in application. I definitely needed careful cleanup but I also hadn't painted my nails in a little while. This photo was taken in my light box. Can you tell which had the white base and which didn't? I feel like I can tell a little bit but not enough to really make that much of a difference in this lighting. I was able to capture a little bit of sun! Out here, the color took more of a Barbie pink neon but again, not much difference in a white base or not. I haven't decided if I want to use a white base under the rest of the polishes or not - I hate having visible nail line but I also hate using more coats of polish if I don't have to. Meanwhile here in the shade, I feel like the white base made all the difference. Torn, eh? Or is it just me? This photo was taken in indirect light under my porch. I feel again that the white does make a difference but I also don't feel like the color is as neon as I'd love it to me. Finally indirect light indoors and this is where the white base made all the difference to me. Since I spend the majority of my time indoors, I feel like a white base is the only way to wear these neons. Do you agree? Wow, that shade says summer! That is a seriously gorgeous and cheery pink, if ever I saw one! This is such a good summer shade! I would probably not use the white base, just since I hate having to apply multiple colors and coats (beyond my normal two). I'm pretty picky about neons, but this one is great. I actually like that it's not super neon. This is def my kind of polish! Love this!! 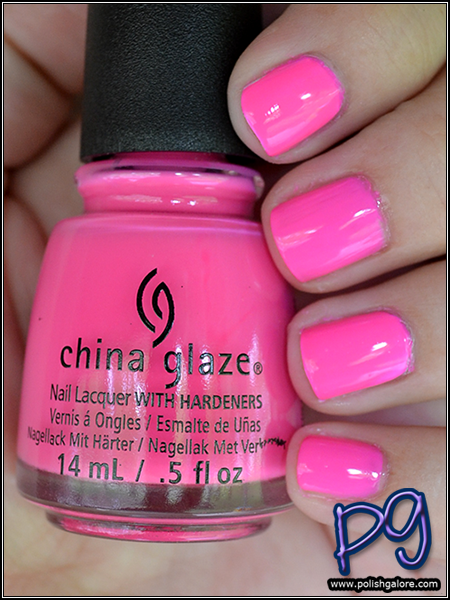 That is the perfect neon pink for Summer! I agree, white bases help with neons. 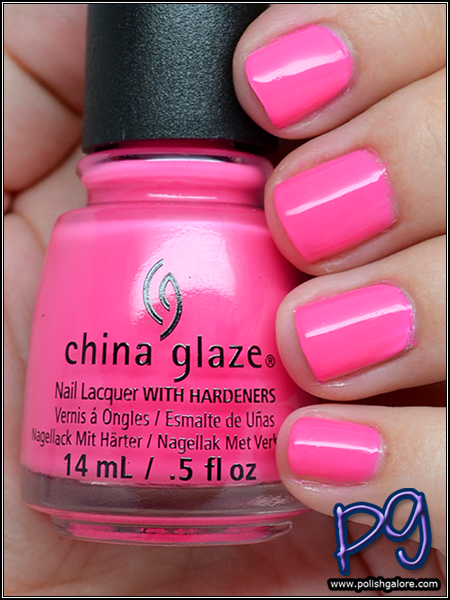 This is such a fun pink for summer... reminds me so much of some funky shades I see parading around the beaches here. I love it.